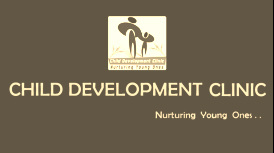 CDC is a trusted name in the field of Child Development,Early Intervention and Rehabilitation . It is the brainchild of a group of professionals who have been working for years with the special children . It is one of the best Pediatric Rehabilitation Centre in India which works exclusively for High Risks Infants, Children with Brain Injury, Delayed Milestones, Developmental Disabilities and children with emotional and behavioral problems .The specialized child development clinic works as a centre that provides all types of Early interventions needed for babies at high risk for developmental delay. We cater to the special need children with developmental disorders. At 2 months: Follows object, both hands open frequently, social smile. At 4 months: Head control, reaching for objects, responds to the source of sounds. At 6 months: Sitting with hand support, transfer object, babbling. At 8 months: Sit and play, says 'dada' 'mama' inappropriately, responds to name. At 12 months: Standing without support, speaking one word, follow simple commands e.g get your shoe. At 15 months: Walk alone, imitates mother, and uses more than 7 words. At 18 months: Throws ball, spontaneous scribble, identifies body parts of the doll,walk upstairs with help. At 2 years: Walk up and downstairs, can make tower of 6-7 cubes, uses two word phrases. At 3 years: Can pedal tricycle, can draw circle, uses grammatically correct sentences. At 4 years: Hopping, can button clothes, story telling.